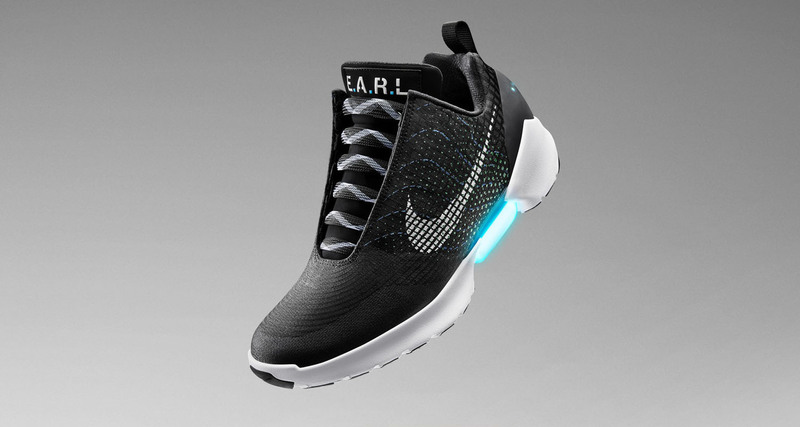 Nike has released further information about the HyperAdapt 1.0. Consumers will soon be able to RSVP for a Nike Experience and purchase a pair beginning November 28, 2016. Further details will be announced in the following weeks. Wired has an article with the designers of the shoe, where they discuss the inspiration of the shoe from when Marty McFly first puts on a pair. The shoe has taken 11 years of research and development and Nike has finally completed the technology they call "adaptive fit" and will start selling self lacing shoes this holiday season. Stay tuned for more details on how to RSVP and purchase.